BEFORE playing a senior game, West Australian teenager Wil Powell has added two years to his contract and will be with Gold Coast until the end of 2021. Powell, who was taken by the club with its first pick in last year's NAB AFL Draft – 19th overall – told AFL.com.au he loved his new home and had no hesitation in re-signing. 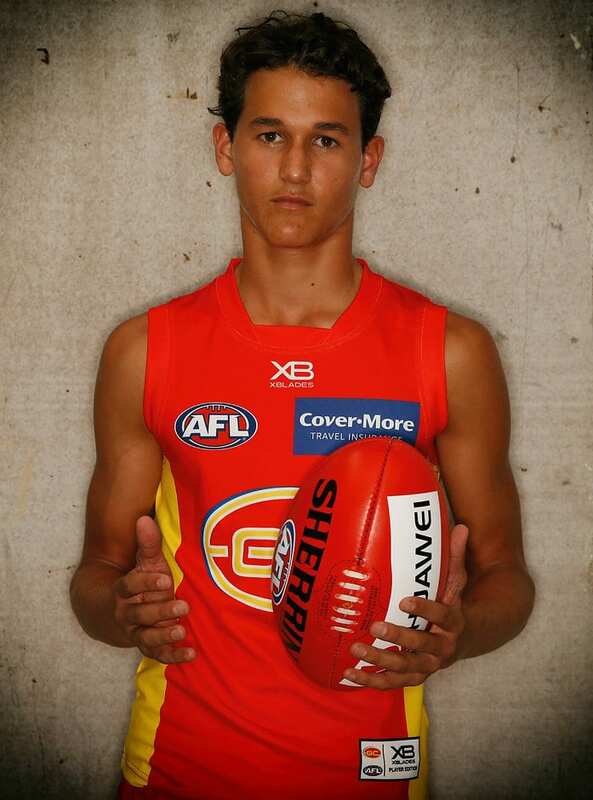 Despite being further away from home than most AFL players, the 18-year-old said he couldn't be happier at the Suns. "I put pen to paper as soon as I could," Powell said. "It was a super easy decision. I'm loving life over here. "Being homesick hasn't been an issue for me - I prefer it over here to be honest. "I went for a trip back home (to be with the Suns in round four when they played West Coast) and couldn't wait to get back here." Considered a bolter in the draft, Powell played for the Claremont Colts last year and didn't crack the WA under-18 team. The lightly framed forward has been on an eat-plenty-add-weight regime since heading east and has fitted in well to the club's NEAFL team. He lives with tall forward Peter Wright – one of the Suns' most professional players – and loves to surf when he has days off. "At the start I kept to myself a bit, but I've become great mates with most of the boys and they've brought me out of my shell," Powell said. "The coaches and staff, just the family aspect, it's great." Powell's mother has spent the past week on the Gold Coast and will watch her son play Brisbane's NEAFL team at Burpengary on Saturday before heading home.